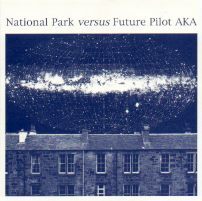 The Only Stars single is still available to buy online from the National Park Bandcamp page. Most of our releases are sold out in the shops but we may still have copies of a couple of them. If you can't find them or live overseas we can post those we have, to you. If you can find them in the shops you might want to buy them that way, we have to add postage and packaging. If you are lucky enough to live in Glasgow, Monorail records is your best bet. Click here to contact us directly and we'll reply with details for your neck of the woods. Some still in stock, direct from us via Yield release on Bandcamp. Emerging from our cave to produce this Velvets/ Beat Happening inspired clatter of medieval-folk-drone pop. Exciting additions to the band on this recording are: the amazing jazz-outsider Bill Wells (piano) and Sarah Martin (flute) and Mick Cooke (horn) from Belle and Sebastian. B-side: La Solara. 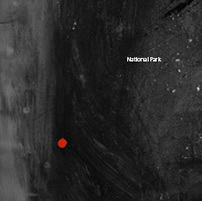 Listen and buy direct from National Park bandcamp. 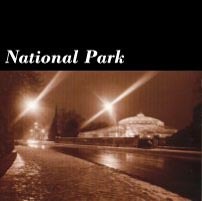 National park doing The Only Stars is on the third volume of crunk, alongside Scatter, Lucky Luke, Music and Movement, Cari Anderson and more. Liner notes by Gerry Love and Stevie Jackson, available from Amazon Japan. You do need darkness. 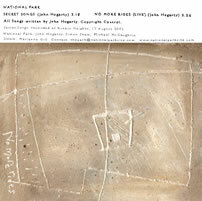 Released June 2003, Secret Songs is the Park's latest psychogeographical piece. On 7" vinyl with a live pre-lyric thump of No More Rides as the other side. E-mail, using our contact form, for details. "Sparse, tingly and open, it breathes like a well-behaved cactus." BYRON COLEY, The Wire, magazine. Geographic compilation for the world other than Japan. 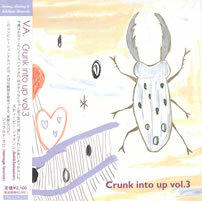 This one has an extra track by Nagisa Ni Te. In addition to National Park other bands featured are: Barbara Morgenstern, Empress, Directorsound and Jim and William Reid (under the guise of Sister Vanilla) and more (see below). 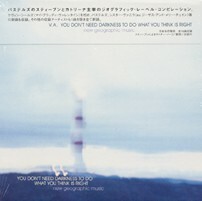 The promo cover is pictured. 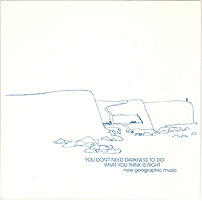 From Geographic Records compilation CD You don't need darkness to do what you think is right released on Trattoria/Polystar from September 12 2001 in Japan and elsewhere on Domino/Geographic from the end of the year. It's in pretty good company alongside: The Pastels, Kevin Shields, Bill Wells, Future Pilot AKA, Telstar Ponies, Maher Shalal Hash Baz, Appendix Out, International Airport and more. Features the studio version of 'No More Rides'. Probably the nearest we'll ever get to a party record. If there'd been a version of Green Onions on the Faust Tapes it might have sounded a bit like this. Furthers the apocryphal myth that Norman Dolph was a shoe salesmen who paid for the Velvet Underground's Banana album. "New comer from UK. I heard they even played with Belle & Sebastian. Reminds me Galaxie 500~Yo La Tengo, but more sentiment. Talk about the sound, the majority of songs in the record are instrumental, with the sense of acid rock. Comfortable!" Available from us via amazon.co.uk. 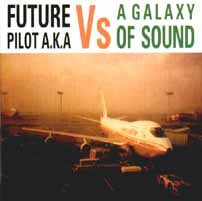 The second of two tracks recorded with "the Pilot" after Sterling Morrison's death and we offer this in tribute. Scott's piano playing on this is truly celestial. In another collaboration I passed my test first time with Sushil's driving school, Autopilot last year.